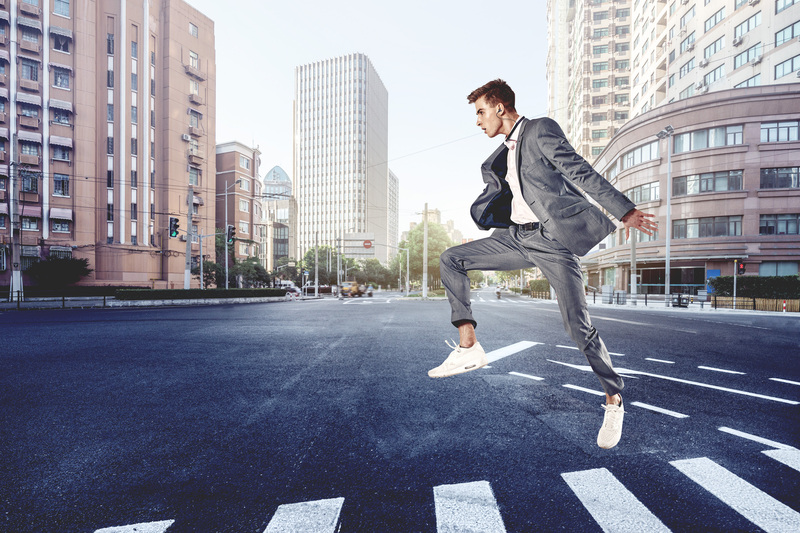 Heilbronn, 30th August 2018 – A world premiere by beyerdynamic: Active noise cancelling and dynamic sound personalization now go hand in hand. The new headphones Blue BYRD ANC and LAGOON ANC revolutionize wireless music pleasure with their unique combination of state-of-the-art noise cancellation and the innovative MOSAYC sound personalization. They offer not only complete, relaxing silence but also highest sound quality that outperforms other ANC headphones and adjusts perfectly to the hearing capability of the listener. The wireless neckband in-ear headphones Blue BYRD ANC and the over-ear model LAGOON ANC set standards in technology and sound, but do not stop there: the Blue BYRD ANC also amazes with its ultra sleek ergonomic casing while LAGOON ANC plays on a whole new level regarding design, comfort and audiophile prowess. 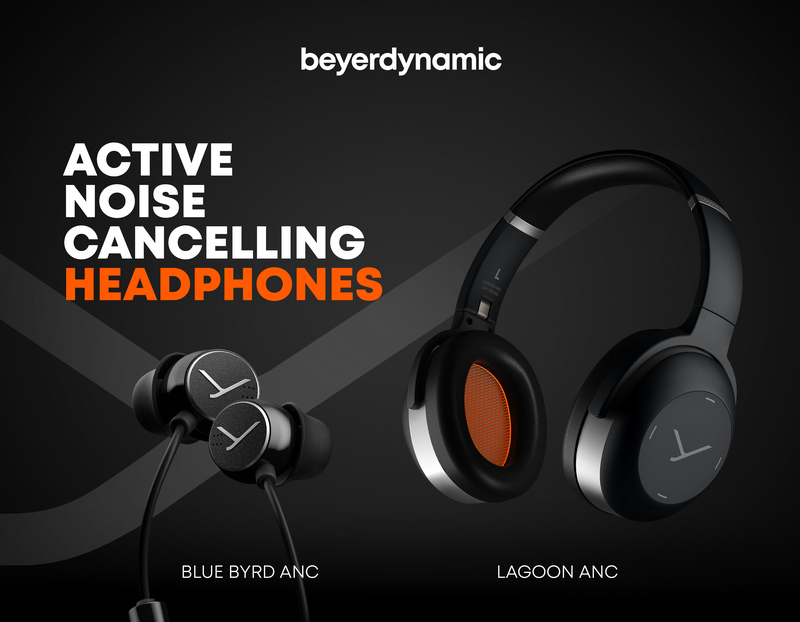 Simply forget the world and listen to your favourite music in comfort and ease – beyerdynamic uses digital active noise cancelling with hybrid technology to eliminate environmental sounds. To achieve perfect noise cancellation it combines microphones on the outside of the casing with microphones inside the ear cup to detect unwanted sounds. These get cancelled out with a counter-noise wave produced by the integrated technology. The result is astounding: noise simply does not reach the eardrums and all that is left are perfect silence and clear, crisp music. This state-of-the-art hybrid ANC technology and decades worth of experience guarantee best sound quality without compromise, satisfying even the most discerning ears. But this is only the beginning: With the innovative MOSAYC sound personalization, these headphones surpass all ANC models to date. The combination of technologies marks an outstanding novelty and will revolutionize the headphone market for years to come. Hearing is a highly individual experience that changes over the course of a lifetime. Like in a mosaic picture, individual pieces get lost, changing the acoustic picture, rendering it incomplete or fading. Subtle details get blurred out, single frequencies or tones vanish. The innovative MOSAYC sound personalization by beyerdynamic restores the picture, using Mimi Defined™. An individualized hearing profile is calculated after a hearing test in the MIY app for Android and iOS devices. This test is based on the research by Mimi Hearing Technologies in Berlin. With the resulting personalized hearing profile, the sound of the Blue BYRD gets adjusted to the individual hearing capability of its wearer. It replenishes the missing pieces of the mosaic so to speak, to attain a complete and brilliant sound picture that shines in all its vivid colours and vibrant details. The individualized listening profile is also stored inside the Blue BYRD, so that it can be used with every wireless source – even without the app. In the future, all headphones by beyerdynamic with MOSAYC sound personalization will feature a distinct logo. With MOSAYC beyerdynamic continues the successful cooperation with Mimi Hearing Technologies and uses the latest generation of Mimi Defined™. Technical highlights such as digital active noise cancelling with hybrid technology and MOSAYC sound personalization are rounded off in the Blue BYRD ANC by the latest audio codecs for Bluetooth® transmission such as Qualcomm® aptX™ for Android and AAC for iOS devices. Support for aptX™ Low Latency ensures virtually latency-free, lip-synchronous transmission of sound from compatible sources such as TVs, Notebooks and Tablets. The universal three-button remote control offers maximum convenience when the Blue BYRD ANC is used as a headset and is compatible with both Android and iOS devices. This allows flexible control of media playback, calls or personal assistants (Google, Siri). As a convenient alternative to the remote control, the headphones have a volume control knob. The high-quality microphone from beyerdynamic and Qualcomm® cVc™ technology increase speech intelligibility when making phone calls. With up to 18 hours of battery life with ANC disabled and up to ten hours with ANC, the headphones are a reliable companion for every day. They are recharged in no time via USB type C and thus ready for use at any time, even when travelling. 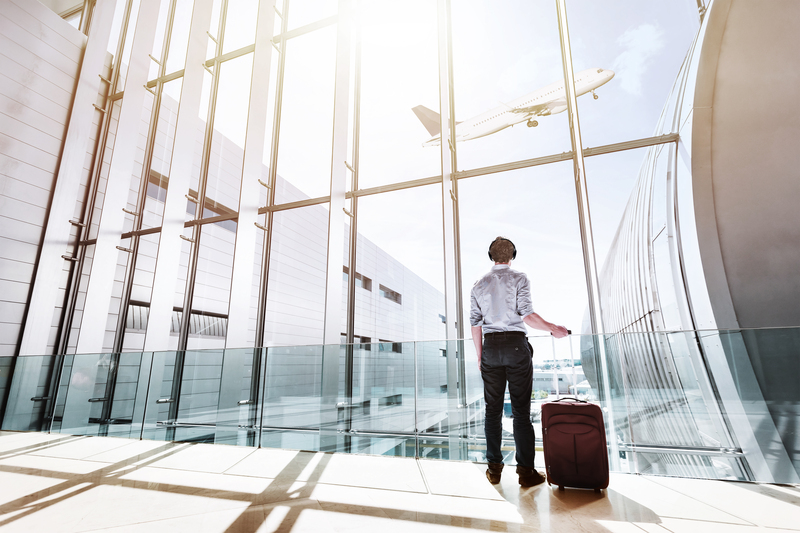 If you travel a lot – to discover the world or to travel from business appointment to business appointment – you will appreciate a perfect moment of silence. With the mobile LAGOON ANC premium headphones from beyerdynamic, the oasis of quiet is only one touch away. The stylish Bluetooth® Over Ears combine the outstanding sound quality of beyerdynamic headphones with the latest digital active noise cancelling, the intensity of which can be adjusted in two levels via switch. The LAGOON ANC sounds excellent even when ANC is deactivated and in cable operation – it incorporates all the know-how of the traditional manufacturer from Heilbronn in Germany. When used in wireless mode, with activated ANC and the innovative MOSAYC sound personalization, a completely new world opens up for the wearer: perfect music enjoyment without compromise, without external noise and optimally adapted to individual hearing ability. Another stroke of genius from the beyerdynamic engineers is the unique Light Guide System: to make operation easier, the inside of the headphones shines in different colours. To see the current status, simply remove the headphones and take a look at the light colour. While wearing the headphones, the environment is not disturbed by a flashing or glowing status light. 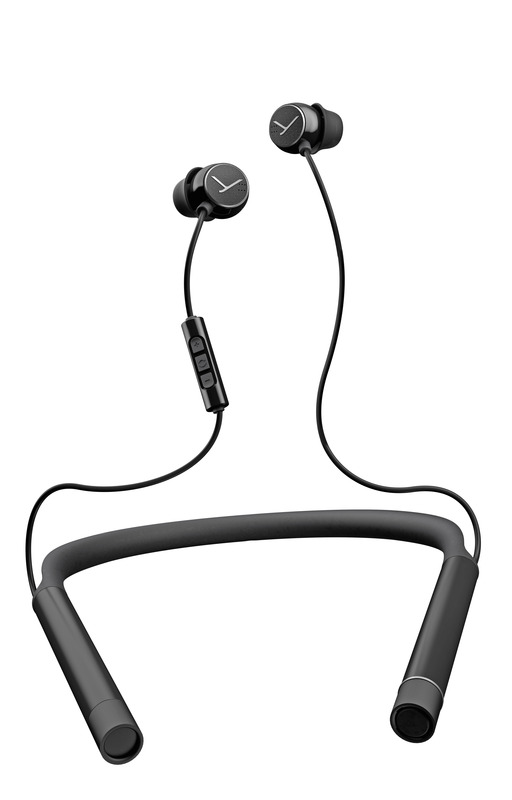 The touchpad on the right earpiece guarantees effortless fingertip operation. 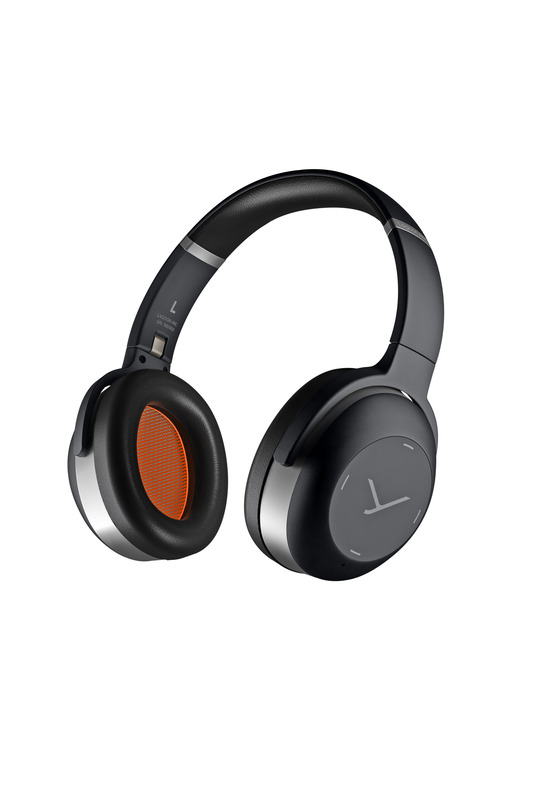 As a state-of-the-art Bluetooth® headset, the LAGOON ANC also features the latest audio codecs such as Qualcomm® aptX™, aptX™ Low Latency and AAC. Qualcomm® cVc™ technology is used for maximum speech intelligibility in headset operation, and voice announcements are available in both English and German. With a sensational battery life of up to 24 hours when the ANC is activated and up to 46 hours when the noise cancellation is off, the headphones will last effortlessly even on long journeys before they need to be recharged via USB type C.